The side plank twist is a challenging core exercise that targets the abs and obliques. It is a great exercise to include in a core conditioning circuit. The kneeling t-spine rotation is a mobility exercise that helps to increase the range of motion of the spine and shoulder girdle. 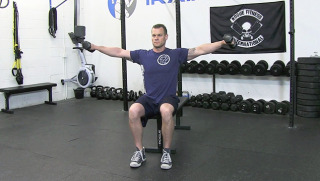 The 3 way shoulder raise is an upper body exercise that targets the anterior and medial deltoids. 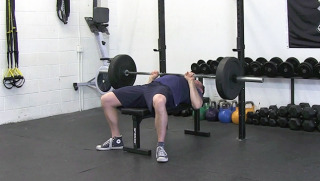 This is a great accessory exercise to do after bench press or shoulder press. 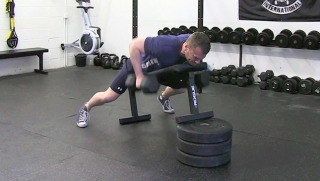 The concept rower is an excellent piece of equipment that targets the entire body. It is a great conditioning tool and is low impact on the joints. The band side step target the outer thighs and glutes. 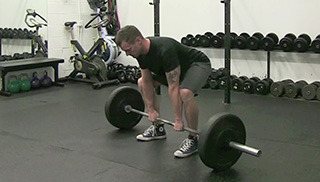 This is a great lower body exercise that can be used in a warm-up or as an accessory exercise. The around the world shoulder rotation exercise targets all the shoulder and rotator cuff muscles. 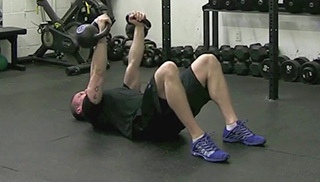 This is a great warm-up exercise to improve mobility and help increase range of motion. 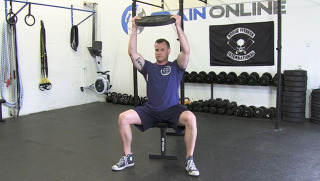 The seated front plate raise is a beginner level upper body exercise that targets the shoulders. 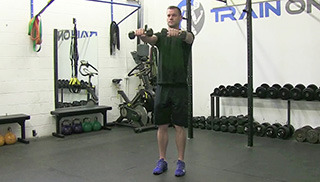 The seated dumbbell lateral raise is a beginner level upper body exercise that targets the shoulders.